I remember when we bought our the first family car, we discussed a lot in the family before buying a car. Buying a car is not an easy one, it requires a lot of discussion and thinking. Before buying a car, it is necessary to do a research work then a decision to make. After a home, second most expensive investment is to buy a car. Of course, some of the plans must be done first. I had some experiences while buying our first family car. 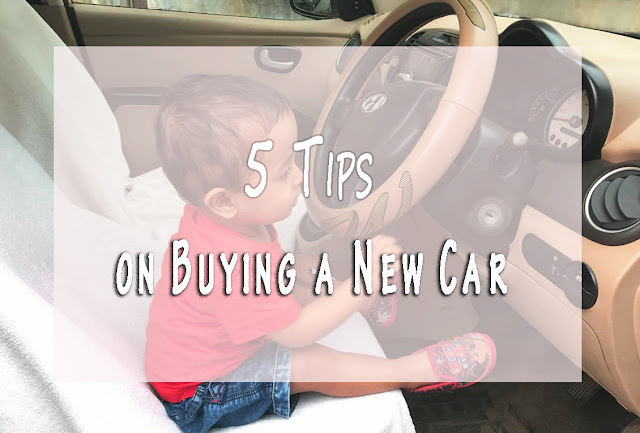 Here I'm going to share with you five most essential tips that will help you to buy a new car and these tips could save your time. Let's begin. 1. Budget: This is the first most important thing that you have to decide. First of all, decide the maximum amount of money that you can afford to invest to buy a car. Then decide your car loan, you have to also decide what will be the EMI that you can afford on your present income. 2. Research: Generally everyone does the research first and then decide the amount of money that he/she can afford to invest to buy a car i.e the budget is to be settled first. Keeping your budget in mind, you can start the research. You can get help from different web pages for your research. Cars.com one of the most trusted website from where you get all the information about your research. Even they will help you find the right car that suits your budget. 3. Petrol vs diesel: You'll have to see how long distances every day you drive a car. If you have to drive long distances every day then the diesel car is a good option. Diesel cars cost more than petrol car and maintenance expenses are higher too. So these things should be taken into consideration before deciding whether to buy a petrol or diesel car. 4. Spare parts: Before buying a new car make sure to visit near service centre and check out all the spare parts are available for the particular car. 5. Test drive: This is another most important thing to before purchasing a car. Make some points that should be checked first while test drive. A test drive should be for a minimum of 20 to 25 minutes. I hope these tips will help you to buy a new car. Nice post and useful tips , all points covered , Yes Buying a car is a big decision so should be done wisely . So knowledgeable and interesting topic. According to me research is very important, doesn't matter what amount we are investing. Very helpful tips because buying a good car is important for us..
Great tips for first-time Buyers. Buying car is not something we do on daily basis so being very careful is mandatory. Thanks for these points. this post is really a helpful one for new parents and some one who buys car for first time. Buying a great car is such an important decision and I buy with all the 5 points you've shared. Even servicing and maintenance costs matter tons. Buying a new car is actually a big decision for someone. These tips are very helpful for someone choosing or buying right car. Buying a car is really a big decision. Before buying if anyone read this will get helped much. These are nice tips that would making the correct decision easy.